Along the commute between Orlando and Tampa along I-4 stands an attraction that has been around since 1995 called Fantasy of Flight. Forever curious on what this attraction was, I was able to check it out and experience Fantasy of Flight during their Roar n’ Soar event in 2011. Here is our review. Fantasy of Flight is a living aeronautical museum that has a plethora of vintage airplanes across several generations on display along with daily demonstrations of flights of these planes with the airstrip that is on-site at the attraction. Before reaching the hangars where all of the planes are on display, you first enter through an immersive walk-through attraction that looks like it could fit right in as a pavilion at Epcot on airplanes. During the walk-through, there is a mix of videos and show scenes that give an overview of man’s first humble attempts and failures of flying which then lead you into scenes that make you feel like you are getting ready to go to war in World War I and World War II. The final scene and walk-through of the B-17 bomber is impressive and very realistic that made it almost a little too-intense for the 3-year old accompanying me. Upon leaving the exit of the walk-through show, you then enter into the two hangars that have many vintage aircraft on display that contains a little history about the plane and notes from Fantasy of Flight founder Kermit Weeks. There are also places for children to get in and play with all of the knobs and levers for interaction and exploration that will make it a highlight of their day. A side door from the hangar welcomes you to a children’s area where children can be assisted in making several kinds of paper airplanes that can then be tested and flown around the room. There is also an impressive hot-air balloon simulator and other kids games to keep them entertained for awhile. Outside of the hangars lead you to the air strip where some of the vintage planes on display take flight so you can actually see and hear the planes in action in addition to just seeing them on display like in a museum. This is the feature that Fantasy of Flight likes to say sets them apart from other types of attractions dealing with flight and I would agree. Children are able to learn about planes and see them in action to really get a good sense of the engineering and excitement of flying. New to Fantasy of Flight for an additional fee is a ropes course and zip line that sits outside of the main entrance. Fantasy of Flight is a great half-day family attraction about 20 minutes southwest of Disney property that will help your children explore the allure of airplanes and the history of aviation over the years. 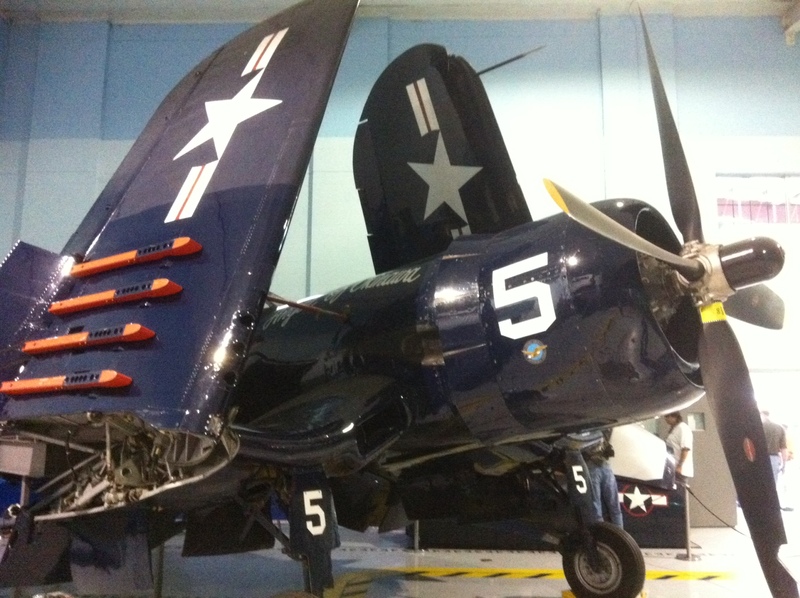 The attractions and displays are not as immersive as the Naval Aviation Museum in Pensacola, Florida (8 hours away) and they do not go into space exploration that the Kennedy Space Center does best. Fantasy of Flight is a better compliment to the Soarin attraction at Epcot. If you take some time to speak to your children about the history of flying and go into the Wright Brothers and what they did for the industry and then take them to Fantasy of Flight and Soarin at Epcot, they will really get a good idea about how great it is that we are able to fly. Click here for more information about other air shows around Orlando throughout the year. This entry was posted in Attractions and tagged activities, air show, day trips. Bookmark the permalink.